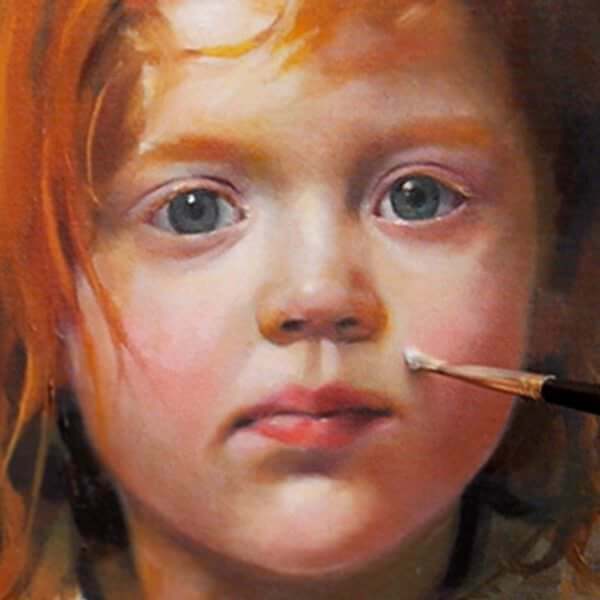 View cart “Acrylic Portrait Course” has been added to your cart. Do you know your Couche from your Scumble? If you’re new to oil painting you might have heard about the magical effects of ‘glazing’ and how using secret Old Master recipes could take your paintings to new heights. You find yourself nodding along but inside thinking, ‘What is everyone talking about? What even is a ‘glaze recipe’? Maybe you’ve overheard someone mention a ‘Scumble’ or read about a ‘Velatura’. What difference do they actually make? 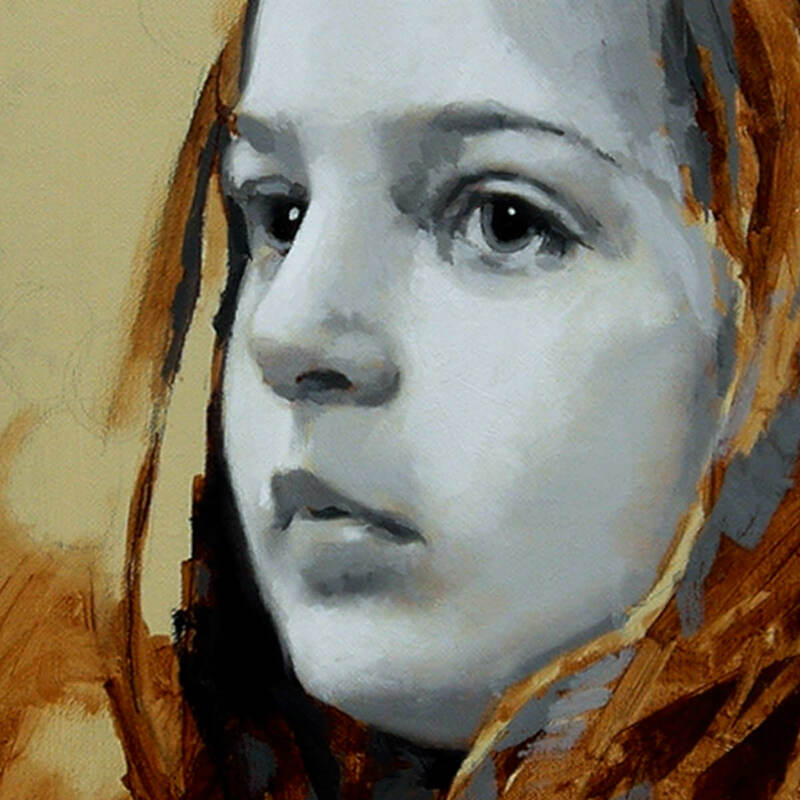 Glazing can seem like the missing link to your portrait paintings. 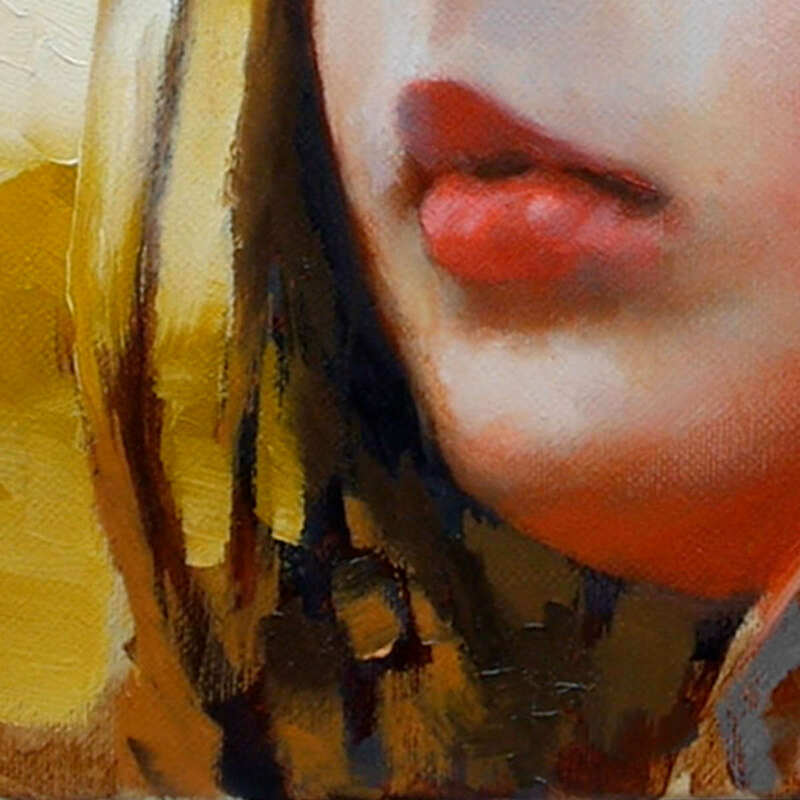 This oil portrait course looks specifically at colour glazing techniques. You’ll study two portraits, using two different colour palettes based in the studio working from reference images. Over 6 hours of tuition, you’ll learn how to simplify the structure of the face in Grisaille, mix natural subtle skin tones with a limited palette and softly model the form. You’ll gradually build up the colours to increase the intensity, learning to think in layers of translucent veils of colour and multiple layers of transparent glazes over a tonal underpainting. Working through these simple step-by-step tutorials, you’ll build progressively so by the end of this course, you’ll be creating complex, realistic, luminous portraits and have a really great understanding of how to utilize glazing in your own portrait practice. Safe in the privacy of your studio, you decide to have a little experiment. This glazing thing can’t be that hard, it’s just like painting a watercolour … isn’t it? This is going to be it, this is going to capture those lovely translucent skin tones and as the colours go on, you’re feeling a litte bit like Rembrandt. Mmm, this doesn’t look right. You step back to see your results. It looks like a stained black and white photograph. The skin tones look flat, not translucent at all, and come to think of it the portrait itself doesn’t look three-dimensional. Where did I go wrong? Don’t fret, you’re not alone. This is exactly how my first foray into oil glazing started too! Discovering a successful method has taken me to the Atelier’s in Florence, Italy, I’ve searched through long-forgotten manuscripts in libraries and distilled the complicated art of glazing into a simple, repeatable process. Thinking through the layers of transparency, building up of the painting structure and keeping the freshness to the finished painting is down to layers of clear sparkling jewel-like transparent final colour glazes and semi-transparent veils of paint called Velatura. A velatura is a thin layer of opaque paint, spread out so it creates a milky or foggy haze that obscures some of what’s beneath it, but not all. It’s like a glaze, but created using an opaque or semi-opaque pigment rather than a transparent one. To discover these painting techniques have taken me many years of failed paintings, you can save time by shortening the learning curve! To study these techniques at a painting Atelier can cost over $1,000 a week in fees (not including travel & accommodation) being able to study at your own pace in your own studio can save thousands of pounds in your education. The course is split into 18 downloadable video lessons, with each lesson made up of separate chapters that follow on sequentially. This is a comprehensive, easy-to-follow 6-hour video course, where you will discover a fresh, quick approach to painting 2 different portraits. 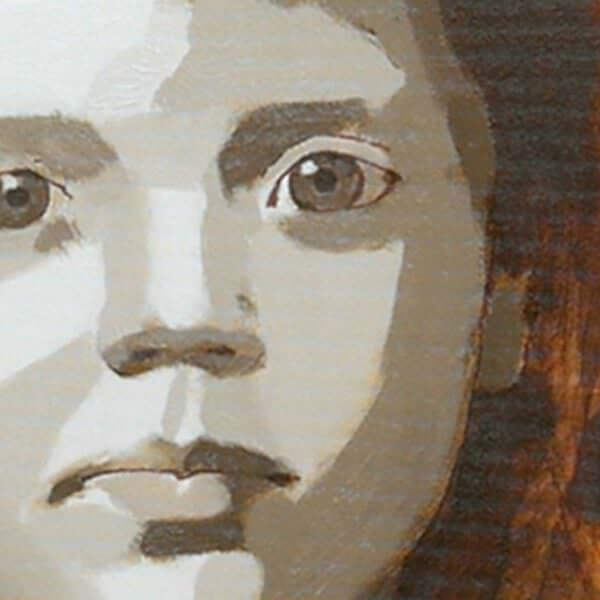 2 x portrait paintings, taking you step-by-step from drawing, right through to the finishing touches. 18-downloadable video lessons, split into separate chapters that follow on sequentially. Nearly 6 hours of detailed video instruction. A visual introduction to the range of paints, brushes & mediums you’ll need for the first portrait of Imogen. Mixing a muted green using acrylics for a tonal ground, drawing out and blending the shadow line. Mixing different ratios of medium to build up the layers of the painting, keeping it technically sound. Using Burnt Umber alkyd (quick drying) oils to block-in the shadows. Painting the planes of the face in a geometric mosaic of grey tones. Observing the extra drying time and applying grey tones clean and sharp, safe in the knowledge we have the working time of oils to blend the edges. Softening the edges and working with a soft filbert brush to model the form. Using a limited colour palette including Ivory Black and Titanium White to create a wide range of skin tones. Introducng a warmer brown into the shadows to get a balance between warm and cools before mixing a ‘base’ skin tone. Starting to add blushes of colour to the lips and cheek and increasing the colour saturation. Using thicker paint mixes, to enhance the colours in the background, altering our perception of the skin tones. Working with the same limited palette we explore how much you can get out of one colour by using it thickly or transparently to apply finishing glazes. We now work on top of a wet medium to apply the final glazes to our first portrait. A visual introduction to the range of paints, brushes & mediums you’ll need for the second portrait of Grace.Using an acrylic marker to draw in the features of the portrait before blocking-in the shadow tone. Mixing a cool green/grey tone and a Grisaille to compliment the orange/pink complexion of Grace for the tonal underpainting. Painting the planes of the face to add the form to the portrait. Using a different skin tone palette for Grace, from a warm brown to a cool purple. Blushing on the base layer using cool and warm skin tones. Once the base is painted in, we can then push the range of the palette to incorporate the stronger tones from the hair. Building up the warmth on the shadow side of the face to harmonise the colours from the skin tones and the hair, by warming the flesh tones. Now we’ve established the cools and warms to the muted underlayer of the face, we add in pink to the cheeks and lips. Using Grace’s complexion to really push the different transparent pigments. Working with translucent veils we add a glow of blue to the eyes, cool greens into the shadows and purples around the face. For the final stages we go back to the start. Reassessing the drawing, adding areas of thicker paint and scumbling the lights to bring the second portrait to a finish. I’ve taken care to film everything from my perspective so you can see exactly what I’m doing as we go through the entire painting process in real-time. With over 6 hours of video instruction, full-color photographs and drawing guides. The video files are large (5 GB in total) so you need a broadband internet connection and enough space on your computer hard drive. A broadband internet connection – the files sizes for the video lessons are quite large (5GB in total) so can take a while to initially download (depending on your internet speed.) Once downloaded, they are yours to keep forever, watch without buffering or take to the garden and watch away from an internet connection! A Colour Printer – to print out the reference images. 30 mins – 2hr per session, You’ll need to be able to dedicate between 30 minutes to 2 hrs for each section, for example, the blocking-in might take 10 minutes to paint but 12 hrs to dry. Patience and a week of contemplation – although some of the stages are very quick to complete, you then need to leave that layer to dry before applying the next layer. We work the early stages with quick drying oils (called Alykds) so the process is quicker than using traditional oils for the entire process. Some experience of drawing portraits – the biggest issues you’ll have if you’re new to painting portraits will be the drawing of the portraits. You can work from my line drawing to help out as a guide but as the painting progresses and the line drawing has been painted over, you have to rely on your observation skills for making corrections. Tweaking and changing your painting is all part of the process. A basic knowledge of colour mixing – we work extensively with mixes for accurate skin tones but the course doesn’t cover basic principles of colour mixing. A love of multilayered biscuits! imagine pink wafers, mille-feuille if you think in layers you’ll achieve some great results! This video course is packed full of useful tips for portrait painting, that could actually be used for any medium. For example, I found the advice on identifying skin tones and mixing colour strings particularly useful. I liked the way this course covers 2 portraits of faces with different skin tones and hair colours. The techniques are slightly different with each portrait, so you can choose which approach you prefer when you paint portraits of your own. Will, I hope you recognize this precious young lady. Your lessons were wonderfully helpful in my first attempt at a color portrait. Many thanks. Sending you my finished painting of Imogen. What a hard work, but I enjoyed it so much! Thank you so much for this art “secrets”, they are changing my life! Thanks for these superb courses! Quite challenging, and I’ve learnt so much. I’m new to oil painting, would this course be suitable for learning how to glaze other subjects like still lifes and landscapes? Although the techniques could be adapted to other subjects 90% of the lessons are focused on colours and techniques for skin tones and portraits, so I wouldn’t recommend it as a general oil glazing course.